4/16/2018 Unbelievably reliable and an absolute pleasure to work with. This review is overdue on my part, but BEL Events handled my wedding back in February, and Morgan Harris and her team were phenomenal. First off they were very easy to work with and helped us to find many of our vendors. 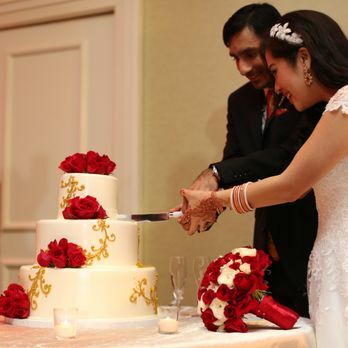 We had a wedding that was equal parts traditional US wedding and Pakistani wedding. 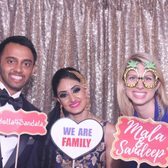 We tried to make sure to incorporate enough aspects from both cultures and backgrounds so that everyone who attended was impressed with the ceremony and planning and that no one felt they were forgotten or left out. This took a lot of work and Morgan and her team were complete professionals, as well as very kind and easy to work with. Then, on the day of the event – our expectations were vastly exceeded. My wife and I had planned every last detail and BEL Events made everything look and feel exactly the way we had asked. Additionally her team was on point all evening to help get my wife anything she needed (she was sick, and there always seemed to be a person asking if she needed halls, tea, etc). Every time we had to adjust the schedule because something took longer than expected (as they all do – although they really worked hard to keep it as on time as humanly possible) they were on their ear pieces and walkie talkies escorting us around like we were the president. It was amazing and everything seemed absolutely seamless to our guests. I wasnt sure how much we needed a coordinator at the start. I knew we would need one for the day of, but wasnt sure if we needed one for all of the planning… but WOW was I wrong. They helped us locate vendors, come up with ideas, find logistical ways to make our imaginations into realities. I could not say more about this team. They are more than worth the cost. Thanks again. Rob Rob R.
1/12/2018 BEL events knocked it out of the park for our wedding!!! They are a one-stop shop which made it SO much easier as a bride! We used them for wedding coordination, rentals and florals. My husband and I were beyond happy with how everything turned out the day of the wedding – certainly exceeded expectations! The owner and CEO, Eliza, is amazing to work with!! She is one of the most talented and creative people I know. She had some awesome and unique ideas that really separate her from others. She really listens to your vision, and truly brings it to life! From the very beginning to the very end, My husband and I are so thankful for her and what she did for us. On top of it, she has such a cute and loving personality that you can’t help but fall in love with her! The passion and dedication she has to her work is evident and she delivers 100%! Shadi is their in-house florist who was fantastic to work with!! She is so friendly, really takes the time to answer any questions, patient and overall fun to be around! 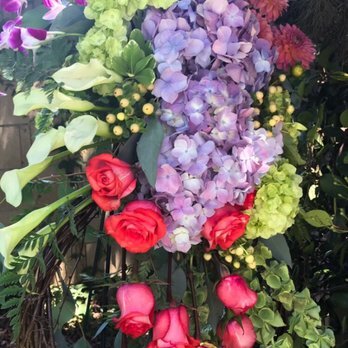 Shadi is wonderful at her craft – the flowers looked stunning on our wedding day and we got many compliments from guests on how pretty they looked!! Shadi also set up a mock up trial to give us an idea of what our centerpieces would look like, which was very helpful for us. She is really gifted at what she does! Morgan is absolutely incredible!! I have nothing but positive things to say about her!! She is one of the most organized and detail-oriented people I know, which is so crucial during the wedding planning process. She has such a charming personality and you just light up when she’s around you with her energy and enthusiasm! I loved her positivity and she was so easy to work with. As bride, I felt really comfortable knowing that she had all the coordination and logistics handled! On the day off, the team also brought in Amanda who was just an absolute pleasure to be around! What a sweet, friendly and awesome person. Amanda basically was there for me with anything I needed the day of. It certainly relaxed me knowing she was there to support me and she does it with such grace! What I love about Amanda is that she always has a smile on her face, which then just wants to make you smile as well! BEL events is the A Team! I highly recommend them! They really made our wedding night so special. It was the best night of our lives! 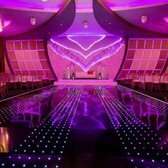 Nasseem N.
3/18/2018 Just recently had a wedding and Must say…Great recent planning company… amazing customer service and gives you peace of mind you need during stressful times of wedding planning:) Shalini S.
Coordination: Morgan Harris was the lead coordinator at my Hindu/Christian wedding. She is the absolute best. Before booking her, I visited her in her office. She did such a great job explaining BEL’s role, and I was so impressed with her. Morgan is very knowledgeable. I greatly appreciated her confidence, which comes from experience and familiarity with different types of weddings. Morgan knows the inner workings of fusion weddings and multi-day celebrations. Our wedding was multi-day Hindu and Christian wedding with many requirements. She knew all the Indian customs and terms (which I did not know!). She had the best attitude! She knew how to handle sticky situations. On the wedding day, when she arrived, I immediately felt at ease. I didn’t have to worry about a thing. She was assertive when she needed to be. Morgan and her colleague Alexis were on top of everything. My family, bridal party, and even the other guests really appreciated Morgan and her team, and they could see everything was running smoothly. When I finally made it to the stage at the Hindu ceremony I looked over to see Morgan and her team smiling at me, and it was quite comforting. Morgan assisted at the church rehearsal that evening, and the church ceremony the following day, even though the church had its own coordinator. When my husband and I walked into the reception ballroom, we were truly amazed. Morgan made sure to capture every single detail of our vision and, importantly, she made sure everything was cohesive. It’s truly remarkable that Morgan is able to accomplish so much in all of her full-production weddings. Morgan’s communication style is exactly what I was looking for. She is super responsive, organized, concise, and efficient. If you work with her you will receive highly professional service, and you would be able to trust Morgan with anything. 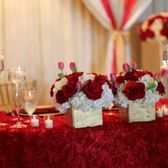 Florals/Rentals: In addition to coordination, I also booked florals and rentals through BEL. My husband and I love convenience and efficiency, so the one-stop shopping company was perfect for us. It also put me at ease to know Morgan would be overseeing everything. Shadi handled the florals, which were gorgeous. She was knowledgable on what types of florals would best suit our needs. Morgan directly handled the rentals. Morgan was great about telling us what was extraneous and what was necessary, and she was helpful in addressing pricing. I would like to point out that BEL went above and beyond every single second. My father later advised me that he had asked Morgan if some desserts could be packed at the end of the reception. My father expected the caterer or reception staff to complete this task, but later he saw Morgan packing the boxes herself. Alexis was with me a lot of the weekend. I had never met her before, but she knew exactly what she was doing and was there for me at all times. During the Hindu ceremony, she kept me advised of what was happening, as there are some ceremonies that take place before the bride enters. She brought snacks from the caterer to me and my bridesmaids while we waited in the staging area. Before the church ceremony the next day, she carried my snack, my room key, and other items for me. Right before the reception, my husband and I were a bit tired. She immediately grabbed coffee for me at the hotel lobby Starbucks. No one asked Morgan and Alexis to do these things, but they have an intuition for what a couple and a wedding production needs. I was honestly sad to see Morgan and Alexis leave at the end of the night. A HUGE thank you to the entire BEL team! You made every moment of our wedding absolutely perfect. My only regret during the wedding is not taking a pic w Morgan–Here is the only pic we have with her! Dana – we adore you and are so happy we also made a true friend out of this experience. Almost 7 years ago when I met Atrina for the first time my heart was set that when it was my turn to be a bride Atrina would be the one to bring my dreams come true! And that she did! From the moment I told Atrina about the wedding date till months after she was there 100000%. She took the time to help me understand the most crucial aspects of my wedding which I was not even paying attention to! Even though I was the bride who could care less if I had this item or that, she explained to me that it’s important for me to take part in those categories because down the line I might regret it. She also made sure that at the end of the day I made a decision that I was happy with and I knew I was able to change if needed. My personal coordinator was Morgan Harris. She was the perfect fit for me in EVERY way! She helped me with my vendor selections and keeping everything organized. I was able to speak to her properly and get advice in things I wasn’t sure of. She stood by me when I had an issue with my wedding venue and helped me achieve what I wanted. On the day of she was always in-sight which I LOVED! With so much going on it was always nice to know that she was around for me to take care of anything I wanted. I never felt alone or flustered. 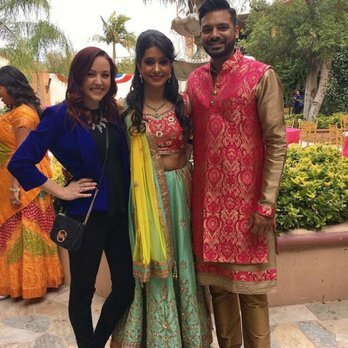 We had a large Indian/Pakistani wedding and sometimes I was stuck between two cultures and two sets of parents and what they wanted, which was different than what my husband or I would want, both Atrina and Morgan would help us overcome those obstacles and ensure that all parties involved were happy and content! Because of them I was able to concentrate on the parts of the wedding that I wanted to. My wedding was a dream come true because Atrina and Morgan were a part of it! Thank you ladies from the bottom of my heart! Nadia A. THANK YOU for bringing our vision to life!!! Where to begin: With less than one month to execute, Dana and her team were able to provide me price ranges and list of food vendors, coordinate all of my vendors together, and turn TIME nightclub into one hell of a private wedding PARTY!!! I was very impressed with their ability to communicate and meet all of the vendors at the nightclub prior to the event to discuss the flow, systems, lighting, video, tech, food truck stations, and everything else in between. Everything went very smoothly and even did last minute errand runs to get me place settings and garters. They are a one stop shop which also helps! They are so easy to work with and made things so stress free. I felt like royalty that night and was able to focus on enjoying our time with the guests! 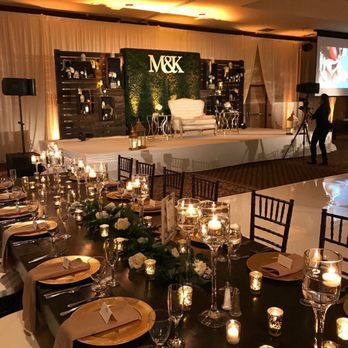 With very intricate details and complexities, BEL EVENTS was the right team to execute not just a reception, but practically a wedding production!!! Thank you again for one magical night! This review is long overdue but exactly on our 1-year anniversary date 🙂 First off, Arika and Morgan were AMAZING from start to finish! We had a little trouble with the original girl helping us…turns out she was leaving the company and wasn’t doing much work on any tasks. But once Morgan found out, she resolved the situation professionally and quickly, and we felt very well taken care of. We then found ourselves with Arika, which was the start of a great planning experience leading to AMAZING wedding! Looking back at the amount of work she put into our wedding, I can’t imagine how we would’ve survived on our own. 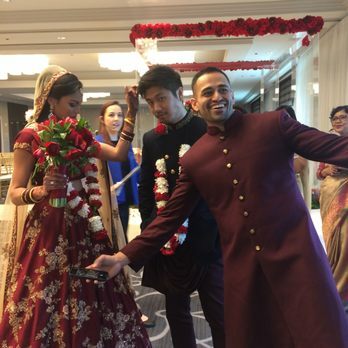 To start with, the wedding was a combined Indian/Vietnamese one, and there was a LOT going on. We had so many different needs and requirements for each culture, and we also had an American ceremony and SEVERAL outfit changes. We also started the planning process late so everything had to be done quickly. 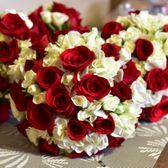 Here’s a breakdown of our experience: Flowers: Since our wedding was only 6 days after Valentine’s Day, we knew that flowers would be super expensive and of course they were. However, we did need a lot of flowers, especially for the Indian ceremony part, so it was impossible to avoid having to get as much as we can without breaking the bank. Bel was able to cut down a lot of the costs and the final quote was very manageable. And the flowers were beautiful! Cake: The cake vendor completely messed up our order! We ordered a wedding cake with dividers so we can add flowers in between. Instead they dropped off a cake on the day of the wedding that although was beautiful and really delicious, had no dividers and was too small. Arika personally contacted the cake vendor right away the same day and talked with them for us and was able to get us a $100 credit back! That was an unexpected surprise but definitely great, we ended getting birthday cakes from that bakery later during the year using that credit. Decorations/Lightings: We went through Bel for all the decors and lightings. Arika and Morgan spent a lot of time working out the details of the reception table setting, centerpieces, and all that fun stuff with my husband. They were a great help even for the cultural décor and items! It was SO HELPFUL having their experience with cultural weddings because they knew which ceremonies linked to each other and how to manage the order and timing. That seriously helped us so much. They were flexible with everything we needed, even after we changed our minds on a bunch of things. They gave us quick quotes with all the costs broken down so it was easy to customize whatever we needed. They delivered exactly what they promised and we both loved everything they set up for us. Secret room: (written by husband) My favorite part about working with Arika was her excitement about my little side project…a “secret” room with photo booths, video booths, picture backdrops, and a chill lounge area which could only be accessed after all the guests worked together to solve a puzzle and open the doors. Yeah this took a TON of planning. We needed a whole new set of lights/lighting with different colors and setup than the rest of the wedding, setup of a white curtain “wall” to block off the room from the guests as a surprise, having all the vendors secretly set up in there without the guests knowing, and coordination with the DJ to make a grand reveal once the puzzle was solved. Arika helped with all of this and she was just incredible. She made the whole process simple and she was such a pleasure to work with! Overall we had a great experience with BEL! Thank you Arika and Morgan for your positive attitudes and your work in making our wedding happen in the complicated way that we wanted! I can’t say enough about Bel Events. Eliza, Arika, Dana, Shima and the rest of the team did an absolutely fantastic job with our wedding at the Monarch Beach Resort this past fall (Sept 2017). 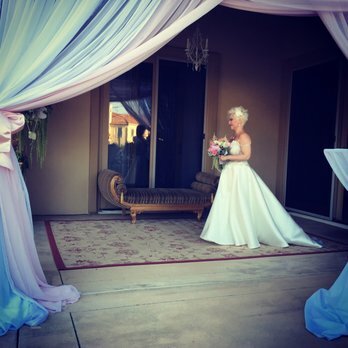 There is no way that any other wedding planner / event company in OC could have provided a more complete service. My wife and I were absolutely BLOWN AWAY with the quality of work they did. We will be forever grateful to Bel Events for making our special day one to remember. They will be our go to for every event we do the rest of our lives. We recommend them without hesitation. Seriously, just stop looking for an event planner right now and give them a call!!!!!!! 🙂 Steven P.
My husband and I are so glad we used BEL Events for our wedding and reception. Words cannot express how grateful we are for Dana. I do not think the wedding would have gone this smoothly had it not been for Dana and her exceptional team. She came through every time we needed her and she fully understood our design concept. She is truly a godsend. My whole family complimented her and the team for all their hard work. Whenever we needed something, one of BEL ladies were at our side. On the decor side, everything exceeded our expectations! They saw our vision and made it a reality. From our stage, to the photo booth backdrop, to the dessert/candy table, everything flowed and worked together perfectly. Dana worked with us at every turn to ensure we loved all aspects of our big day. I don’t know what we would have done without her. I would definitely recommend using Bel events to all the brides out there! I ordered a funeral arrangement for my grandfather who passed away, just days before I needed this arrangement. I worked with Shadi and she was able to create a beautiful, colorful arrangement based off a photo I shared with her. The flowers were perfect and stayed fresh for a few days. My family got so many compliments. I’m very pleased with their work and the customer service I received. Would definitely recommend BEL to others! My first experience with BEL was at my bridesmaids wedding a year prior to my own wedding. I was a bridesmaid at the wedding and I had a different experience/perspective than my fiancé did. As a part of the bridal party, I noticed that they were SUPER organized, running on time, sticking to the notes the bride provided, and making sure the bride and groom got a moment to breathe away from the crowd. Any commotion that was to arise was handled prior to informing the B&G, which I absolutely loved. No B&G needs additional stressors on the biggest day of their life. My fiancé noticed how prompt, professional, helpful, and stern in a nice manner! (We all have that 1 crazy guest who needs to be put in their place). After this amazing experience, they were the only company we contacted to help us for our big day.. and we got lucky with Morgan as our lead associate! She is absolutely amazing. She made time for me anytime of day (even on her day off– thanks girl!) and kept me calm throughout the entire process. 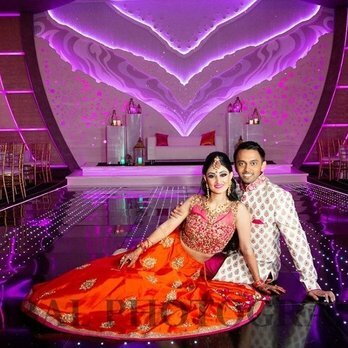 Not only did she help my vision come to life but she helped to make it bigger with her experience in Indian weddings. And the day of the wedding was nothing less than extraordinary. She was my right hand man the entire time, keeping me well hydrated and fed, while making sure I looked flawless. My husband and I definitely recommend BEL 100%!! Our awesome coordinator (and now friend), Morgan! !